We are extremely excited to announce our involvement in Thames & Hudson’s upcoming book, ‘The Boy Who Took the Artist to the Zoo’ (provisional title) by Anthony Penrose, which will follow on from the author’s hugely popular, ‘The Boy Who Bit Picasso’. As the son of photographer Lee Miller, and the painter and writer Roland Penrose, Anthony Penrose was lucky enough to meet various famous artists of the era, including the Spanish Surrealist Joan Miró, who came to visit the family’s farm in Sussex during the 1940s. His new book will tell the story of a particularly memorable visit to London Zoo, where Miró’s delight in the animals is recounted by Mr Penrose with equal insight and humour. 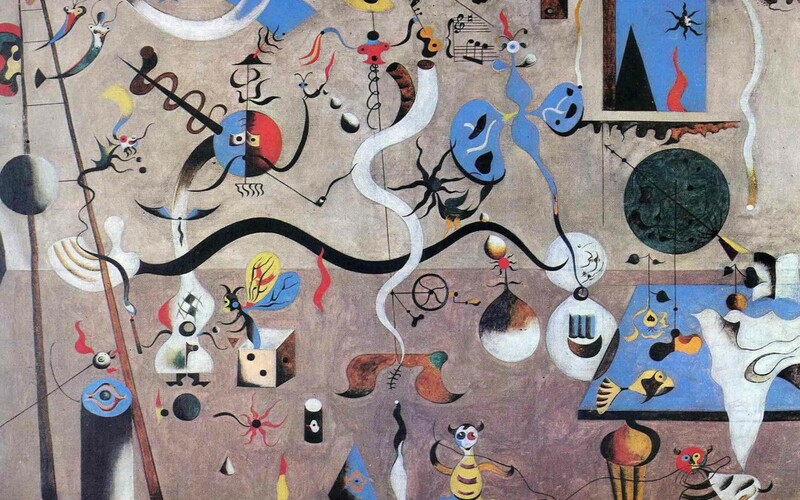 Not surprisingly, it will be full of Miró’s own fantastic art, along with some photographs from the period. What makes it extra special, however, is that it will also feature some Miró inspired art painted by a lucky few of our own pupils! Thames & Hudson have approached Artroom Brighton to provide these illustrations via a Miró workshop that we have devised, which will take place on Friday 20th February. Paintings completed during this workshop could feature in the book, subject to being chosen by the publisher. Unfortunately the workshop is already sold out, but to all those pupils who are now enrolled on the event, we are super excited and cannot wait to see what wonderful pictures will come to life. We hope you are just as excited too! Watch this space to see some of the pictures and for more details about the book’s publication.